So for many, after halloween and Diwali, for those not celebrating christmas… New Years is the next big event! We wanted to get you thinking about your NYE plans! Where are you watching the year go off with a bang? Or dancing into the new years? Maybe an intimate dinner with family or your significant other? The NYW events are planned WAY in advance, just to make sure there’s something for everyone! So as I am sat in the cold of the UK weather, waiting for my train.. I thought I would choose my top picks and share them with you guys! This is one of the biggest events and you definitely need to book early to see the show! There will probably limited restaurants offering astonishing views on the day too, but the prices will shoot up! Fireworks hosted by Emaar Properties @ The one and only tallest building in the world have attracted thousand of tourists yearly, people come especially for this event! Some of the Dubai mall restaurants look out onto the fireworks, for example, Orchestra and Mango tree @ Souq al Bahar, but many tourists will book hotels around the area to get the views from the comfort of their own hotels! Everyone knows about the fireworks @ Burj khalifa! 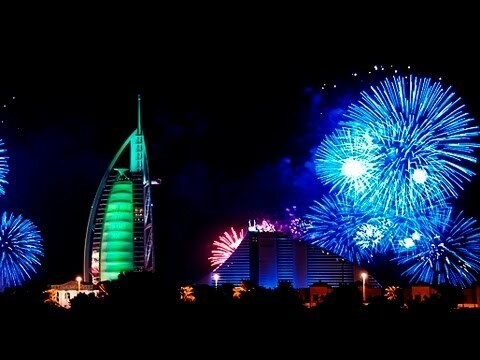 Just as spectacular, Burj Al Arab will also be showcasing fireworks, along with dance performances, a cocktail party and a gala dinner! You can buy this all in a package, once again, this is one of the worlds most expensive hotels, so tickets will be flying away… Make sure to book early! You can certainly expect royal treatment from this astonishing hotel! Dance the night away, drink up on cocktails and jump into the new year with those you love and care for with this extravaganza! If you can’t decide where you want to see the city light up, why not take a 3hr cruise for Dubai marina or Dubai Creek! With a dinner buffet, new years cake, live entertainment, welcome drinks and champagne at midnight. Unless you get sea sick, who doesn’t enjoy a nice relaxing cruise? I have personally been on a dhow cruise many a time because the service and views are great! Watch on the open deck as Dubai lights up and enters 2017 with a boom! Please remember to book in advance! For an extra touch of sophistication, head down to the Jumeirah for an evening of delightful and delicious food, to elegance and live performances! The longest New Years fireworks will be cracking off at 12, and the event is hosted in a marquee pinned up directly under the Burj al Arab. Along with all of this, you will get great oceanic views, international cuisine and royal treatment at its finest! This Gala dinner will be something you won’t want to miss if you love dressing up and want to enjoy an evening of elegance! There is also a cheeky special discount if you book before the end of the month! 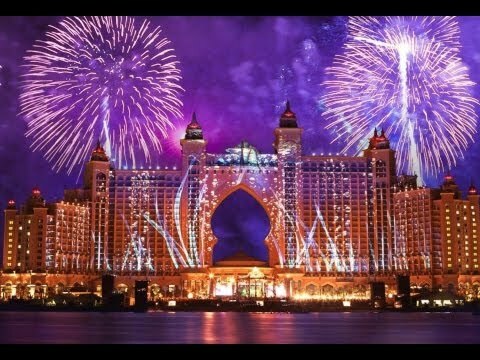 Prices are in the thousands, but you won’t find a cheap good night out on NYE in Dubai! It is the city where no expense is spared! From the kids go free* for the Gala dinner to the late night New Years Eve Party for the big kids! The beach based dinner will be another elegant way to end your year, with activities for your little tots (Children) and live entertainment and performances for adults! Under 12 kids go free and can enjoy the “under the sea” extravaganza for their new years eve! a night full of arts and crafts, a bouncy castle, and lots of fun games! As a gala guest you will have access to breath taking views of the palm and the Dubai skyline! 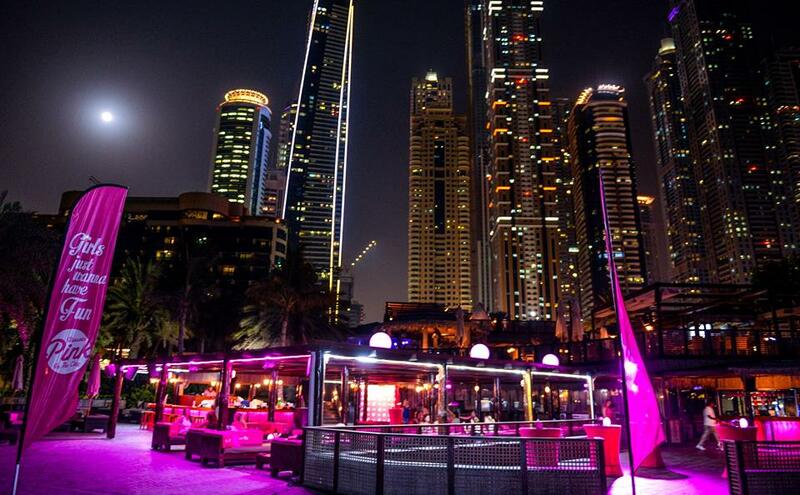 There’s nothing like a beach party and Barasti is a Dxb Blog favourite! This year hosts Laidback Luke! A fantastic global celebrated artist who will take you from Dubai to Ibiza and round to beats that hit off at events like sensation and Tommorowland, don’t miss this party if you like your beaches! There are millions of other events, restaurants and parties all over Dubai! Relax @ Level 43, head to stables for a rowdy night or a night at the pub with your lads or ladies! If you’ve got little tots why not head to a water park, the beach? The weather temperatures will be perfect and I’m sure they have some special happenings for New years! Whatever you decide to do.. Make it special!